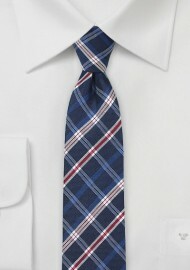 A Blackbird designed men's necktie made for the sporty dresser. 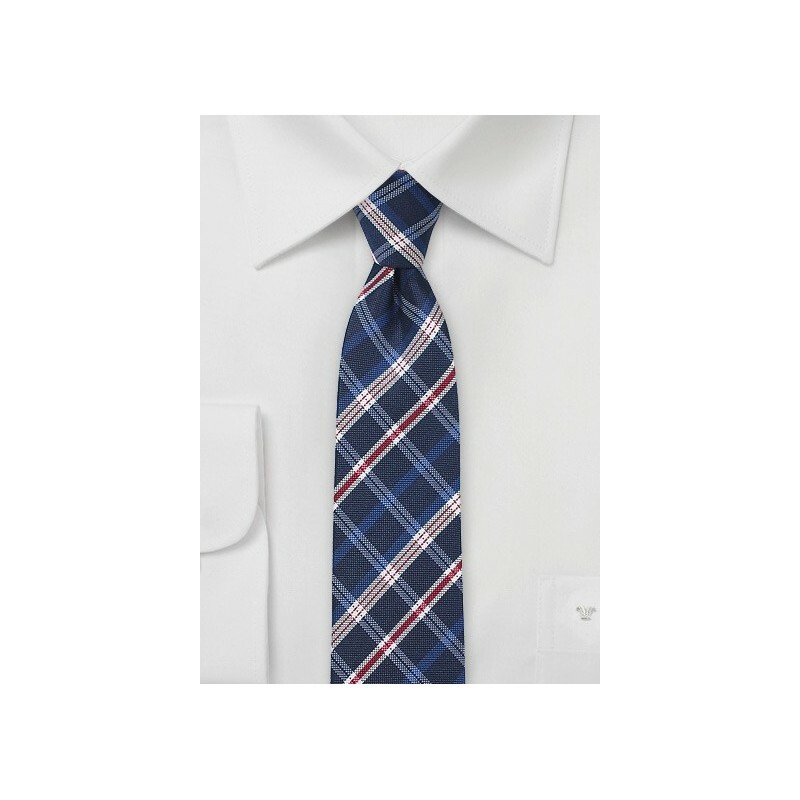 This piece features a preppy design of thick navy stripes crossed with thin white, light blue, and red stripes for a narrow plaid pattern that looks super fly with a slim-fitting navy (or even radical red!) blazer or sports coat. Woven by hand on a jacquard loom from 100% silk. Includes a wool inlay to ensure an elegant drape and long-lasting shape. Length: 58", Slim Cut Width: 2.35"